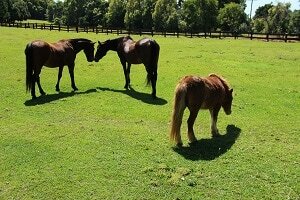 Equine Experiential Learning for children, youth & adults experiencing social, emotional and learning challenges. Through unmounted work on the ground with horses, young people and adults can develop and enhance self-confidence, self-awareness, self-responsibility and trust. It also provides a sense of well being and calm. This program is not a traditional riding program. 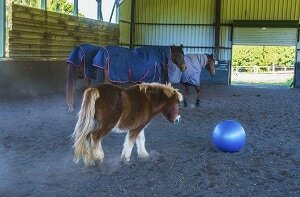 Instead the sessions focus on the development of relationships with the horses and basic horsemanship skills. Safety for all participants is a top priority and the program is fully covered by insurance and a risk management policy is in place. The facilitator has a current ‘Working With Children’ check. Co-facilitator with North Coast Area Health Child Protection Counsellors. Co-facilitator with Sally Mills Psychotherapist. Based on the Eagala model. Weekend or school holiday programs for ages 7+. To find out more use our contact form. 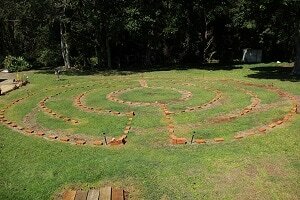 Come and walk the Labyrinth as an individual or group. All programs are held at the Teveton Centre for Equine Experience. The venue has an outdoor and covered indoor arena, toilet facilities, feed shed, covered horse yards and meeting room. Programs are suitable for children, youth and adults. ​Please contact us for further information and program fees.